Warp have a long-trodden history of throwing curve-balls, I’m sure you all remember being shocked at their knife-glamorising ‘Satanstornade’ record with noisemongers Masami Akita and Russell Haswell, and do I need to mention Maximo Park? Yes they seem not give a monkeys what the world thinks sometimes, and good on ‘em - this latest disc shows them on top genre bending, assumption confounding form. 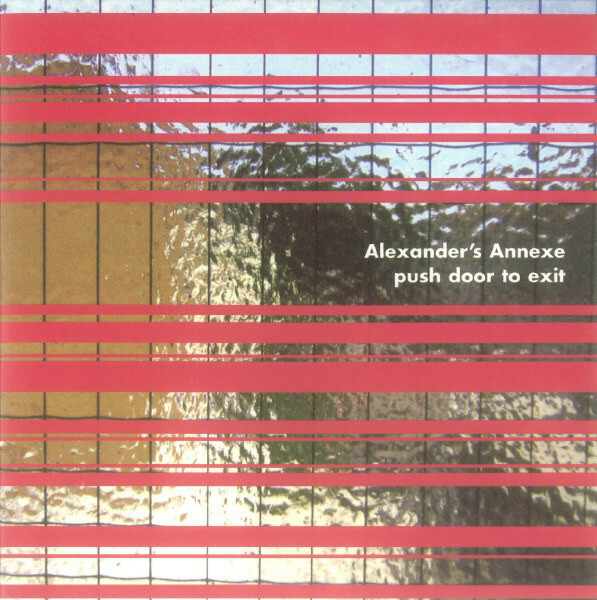 Okay so it’s related to Mira Calix and the London Sinfonietta, but that’s where the Warp connections start and end, Alexander’s Annexe’s debut disc is out on its own here. Comprised of a single thirty minute piece which the trio debuted at the 2005 Aldeburgh Festival, it shows off the three musicians skills marvellously.- Mira Calix gets to flex her sound processing muscle, Sarah Nicolls holds the piece together with her incredible work on the piano and David Sheppard holds everything together with his expertise as a Sinfonietta principle. The resulting noise is more than appealing, ranging from the minute scratching and squeaking of tiny mechanical creatures to bass heavy drones straight out of Sunn O)))’s back catalogue. Clearly the trio have looked to the mid 20th century innovators such as John Cage, Iannis Xennakis and Luciano Berrio, but the sound they end up with is notably contemporary. I don’t feel that Calix has ever before managed to achieve this kind of focus on a record, her solo efforts have felt occasionally quite indecisive, ‘Push Door to Exit’ then is the perfect place for her to show that she is a major player in experimental electronic music. I certainly wouldn’t recommend this album to everyone, it’s without a doubt not an easy listen, but if you want a record that challenges you and isn’t afraid to excite your mind then look no further.